You do not need a BT land line telephone wire to get connected to the internet. You can get your internet through a satellite connection. You can choose to use the satellite data service and cancel your BT line if you so wish. Frankly, if you have a poor BT line then you may also get poor BT service and phone line repair. Why not simply save your phone line rental and spend it on getting satellite internet connection services which do not rely upon a BT phone line? Have you ever tried moving internet providers - a hellish painful experience at the best of times! Asking for you MAC code will have you pressing 10 buttons on a telephone service manned by a computer auto-attendant voice service. Tip: If the auto-attendant voice service does voice recognition then swear profanities down the phone - it picks them up and you go to the front of the queue. Can't really recommend it but it may make you feel better! Why go through all that stress with poor broadband provider services? Make life better and easier for yourself by cutting off the land line (no need for a MAC code) and connecting to the internet via a satellite dish. Use your inclusive minutes on your mobile phone contract for talk and chat but have your fast internet coming down from a satellite. Why move to another internet provider when the problem may be with your BT phone line? You ask for a BT phone line repair service and maybe your broadband connection will improve. More than likely you have already gone through this process and spent enough time off from work to have the line repairs, looked into and still show poor line quality and bad internet connection speeds. You are taken to the idea of cancelling your BT phone line or moving to another internet provider. STOP! The land line internet connection may be provided by another service but it still uses the same BT line and the same equipment at the telephone exchange. Your problems just simply continue with another provider and another call centre to phone up. Your internet phone line problems don't go away just because somebody else is billing you for the same service. Switch to using a satellite service and you have completely removed all possibility of your copper BT phone lines giving you any internet connection problems. BT phone line cancellation does not even matter. Try the internet broadband satellite service and compare them both side-by-side. Cancel your BT line only if you don't want the talk services but certainly give the satellite service consideration because it delivers at real and true advertised internet speeds you actually pay for. No marketing hype, no 'up to' values just real internet delivery speeds you know you can use. So if you are experiencing a BT phone line problems, which causes your internet connection to be poor, then save time and worry by having satellite data installed and have only one day off work while they do it! Providers always talk up speed! Many advertisers and broadband marketing campaigns simply talk about the high speed of your broadband. What you really have to be careful of is the fact that they say 'up to' and 'check your area' which amounts to a get out clause should your phone line be of poor quality. Just check their terms and conditions and ask yourself 'can I cancel the contract which ties me into a 12 or 18 months of payment?' If you can not back out of your contract then you may be stuck with paying for the full term of your broadband agreement. 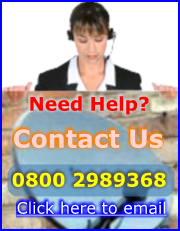 You will find it difficult to argue who is at fault should you experiance phone line difficulties.